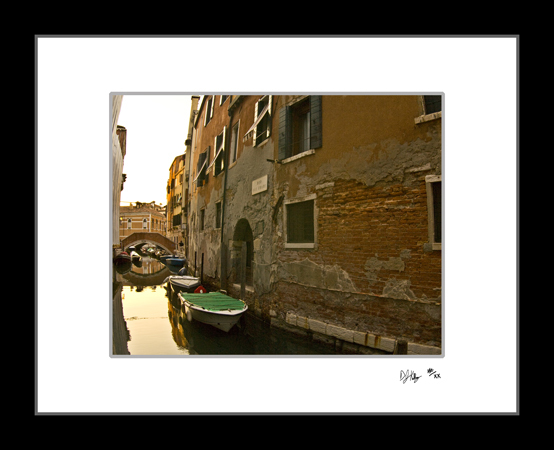 This fine art print of a little green boat on a small side canal in Venice, Italy. The city of water is filled with bridges that cross the canals. This photograph captures one of the many working boats used to move goods throughout the city. These work boats due everything from delivering food, furniture, and other items, to doing tasks such as picking up construction equipment.